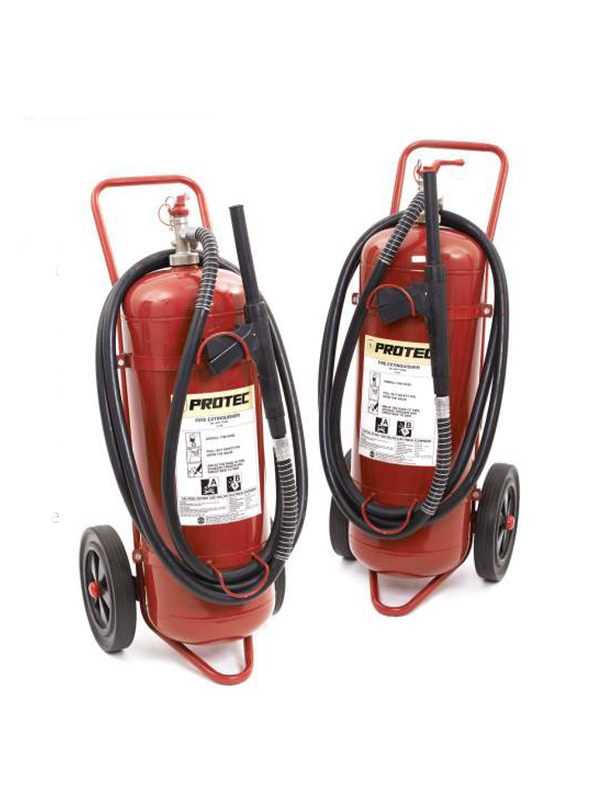 “Protec” AFFF Foam stored pressure wheel trolley fire extinguishers are manufactured and conformed to BS EN 1866 standard under strict ISO 9001:2008 Quality Management System. The Aqueous Film Forming Foam (AFFF) additive is a blend of perfluorinated and hydrocarbon surfactants. On A Class fires the foam enhances the cooling ability of the water base. On B class fires the foam enables the formation of an aqueous film capable of spreading on the surface of burning fuels, which prevents vapour production and seals the surface from oxygen. • Epoxy lined coating internally giving maximum protection against corrosion.